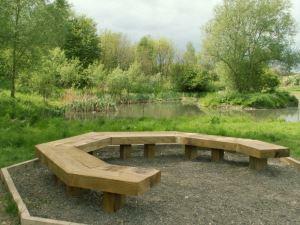 Designated as a Local Nature Reserve in 2008 Alverthorpe Meadows & Wrenthorpe Park form a green oasis within the residential suburbs of Wakefield. The meadows are a relic of a former time, with old hedgerows and clearly visible medieval ridge and furrow patterns. Alverthorpe Meadows are managed as wildflower meadows. Leave Wakefield on Bradford Road. Turn left onto Wrenthorpe Road. The Car park at Wrenthorpe Park is on the left after going under the railway bridge. Parking is free.